Heavy Duty Micro Door Limit Switch with Roller Plunger for Air Curtains from brands: Awoco / Maxwell / Pioneer / Welbon / Mars. 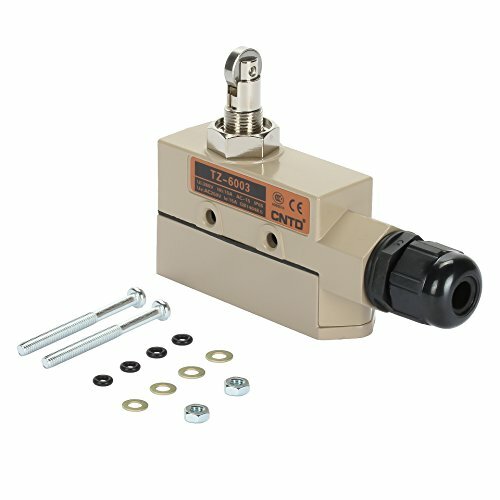 Built-in CM miniature limit switch, strong aluminum cast shell, design for water-proof and oiled proof. It is the same as CM Micro Switch in the rated value and characteristics. Each switch is equipped with cable fixator, including rubber boot, metallic waster, plastic screw nut. Model: TZ-6003, Roller Plunger is easier than none roller plunger switch for Air Curtains Door Access. If you have any questions about this product by Awoco, contact us by completing and submitting the form below. If you are looking for a specif part number, please include it with your message. EcoPlus Bug Screen w/ Active Carbon Insert, 6"